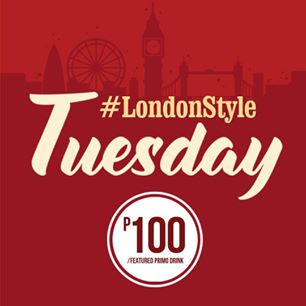 Check out Costa Coffee's #LondonStyle Promo happening until August 29, 2017. 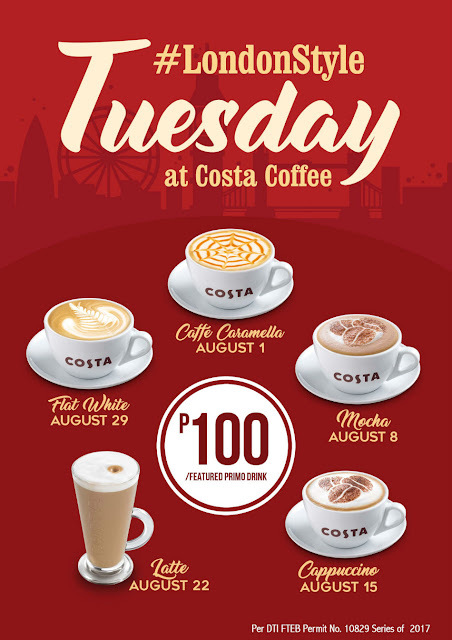 For the whole month of August, Costa Coffee is offering their handcrafted coffee for only P100 per primo cup on ALL Tuesdays of August 2017. ☕Cheers! You can enjoy a cup of Mocha on August 8; a Cappuccino on August 15; a Latte on August 22; and a Flat White on August 29. All featured coffees are available hot or ice-shaken.